2016's Legion expansion brought bold new features to World of Warcraft, changing the game in exciting ways. So far the Battle for Azeroth expansion does not. 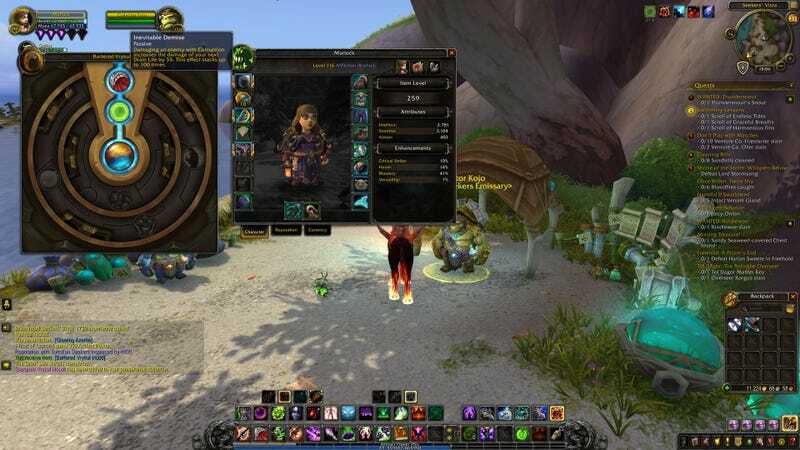 Legion brought us game-changing level scaling and artefact weapons and expanded upon cool ideas like random treasure troves and follower missions from its predecessor, Warlords of Draenor. The demon-infested Broken Isles gave players exciting new landscapes to traverse, beautiful lands decimated by the glowing green infernal taint. 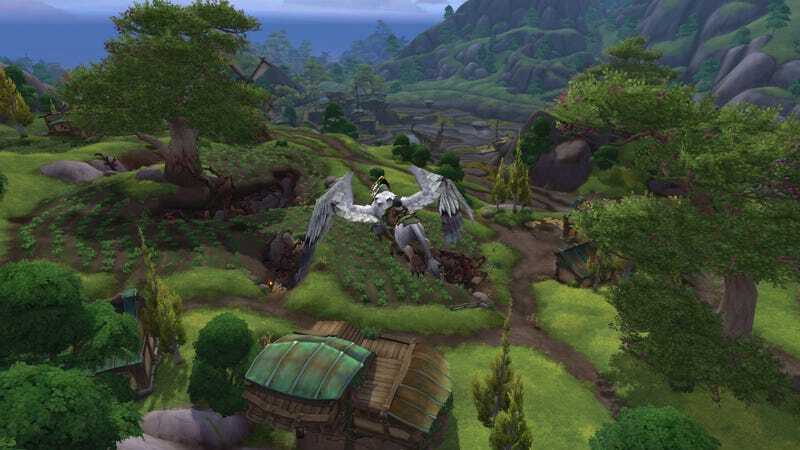 Battle for Azeroth, which mainly takes place on a pair of formerly out-of-touch island continents, is much more grounded in “reality.” It’s rolling hills. It’s shipwreck-dotted islands. It’s rustic villages. With a few notable exceptions, it’s more of what we’ve seen before. That’s not saying the expansion isn’t pretty. It just cannot compare with the otherworldly sights delivered by its immediate predecessor. Speaking of pale comparisons, Battle for Azeroth’s artefact system is a far cry from the artefact weapons introduced in Legion. Instead of collecting and evolving powerful instruments of destruction, now players are regularly gifted with bits of armour (head, shoulder and chest) that have their own skill tree of sorts. 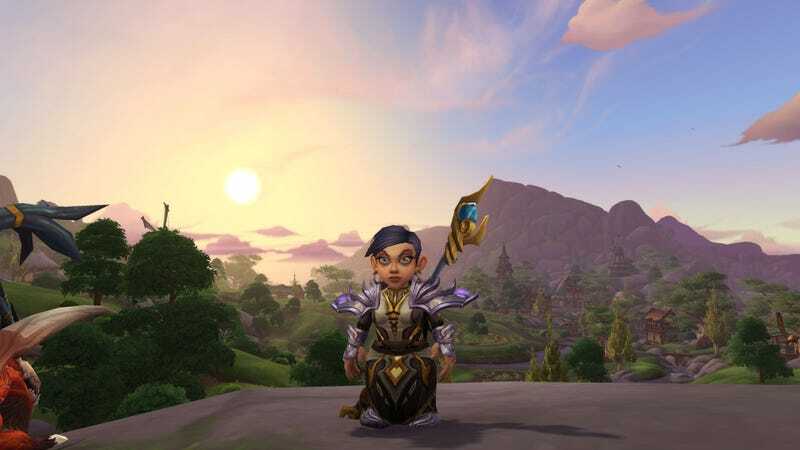 By collecting a resource called Azerite, players level up the Heart of Azeroth artefact, enabling them to select special powers and traits for their magic armour. Going from undertaking a dynamic quest to procure an ancient weapon to being handed super-powerful armour is a bit of a let down. I enjoy the extra power. I just wish there was more to it. But hey, I am only a week in so far. There is still plenty for me to do. My Warlock is only level 116, so she’s got four levels to go before hitting the cap. I’ve only unlocked two out of three of the battle story zones, so there’s more to do there. I’ve still got a couple dozen quests in my log, with more popping up every step I take in Kul Tiras. 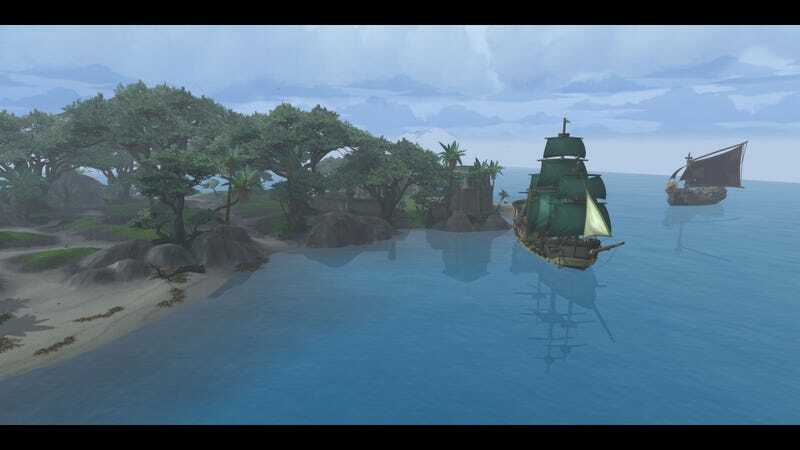 I’ve only just unlocked Island Expeditions, special missions that send players off to uncharted islands to search for more precious Azerite. And hell, I’ve not even done a dungeon yet. What kind of Warlock am I, aside from one terrified someone with damage counters on is going to kick him from the group for under-performing? I’m not having a bad time in Battle for Azeroth. I like the incessant questing, as obnoxious as it can be. I enjoy exploring, seeking out pretty new places to take screenshots and potentially die. I just wish the expansion did more to advance the game. We’ll see if that feeling holds up as I barrel towards the level cap.